Enjoy the top 1 famous quotes, sayings and quotations by Lindsey Harding. It's kind of like a revenge thing. Yeah, we beat them twice in a row, but they beat us last. We want to get that back. It worked out perfectly with this being the last game of the year. I think it will be a great game. Want to see more pictures of Lindsey Harding quotes? 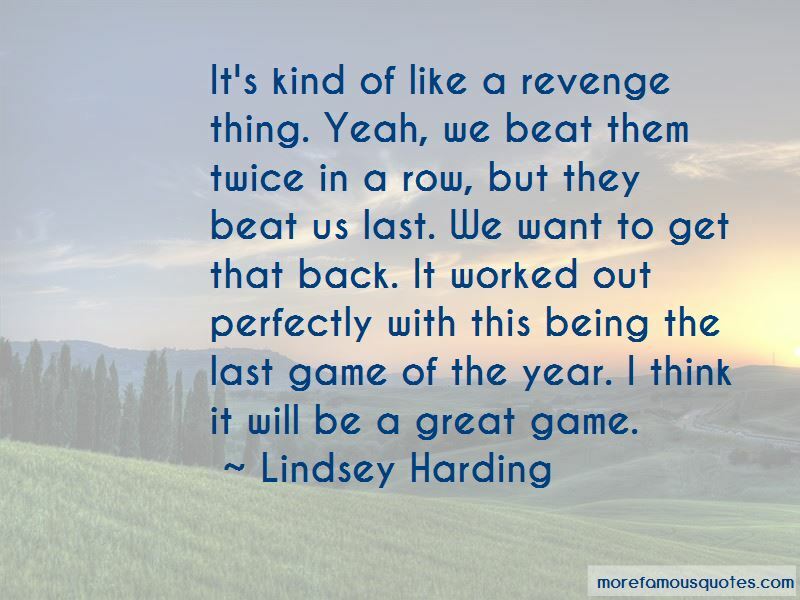 Click on image of Lindsey Harding quotes to view full size.